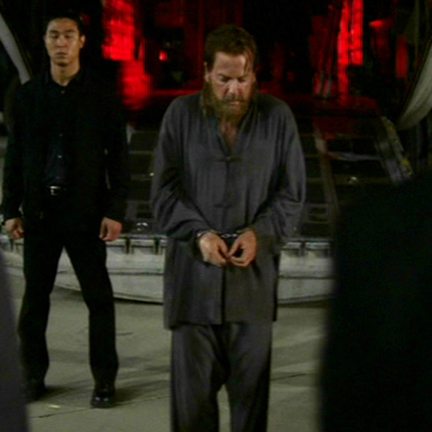 This costume change was worn by the character “Jack Bauer” portrayed by Kiefer Sutherland at the beginning of the sixth season of the award winning television series “24”, which ran from 2001 to 2010. 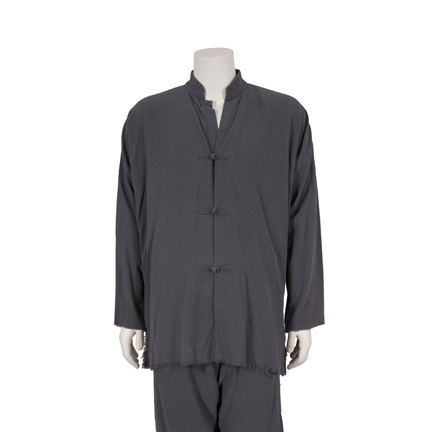 The outfit consists of a grey two-piece “Chinese Prison” uniform that was custom fabricated for use on the production after extensive research by the series costume supervisor for authenticity. 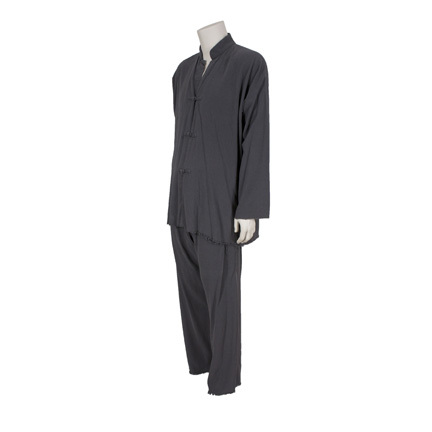 The garments are constructed of washed raw silk with hand distressed frayed edges on the hemline, sleeves, and pant legs. 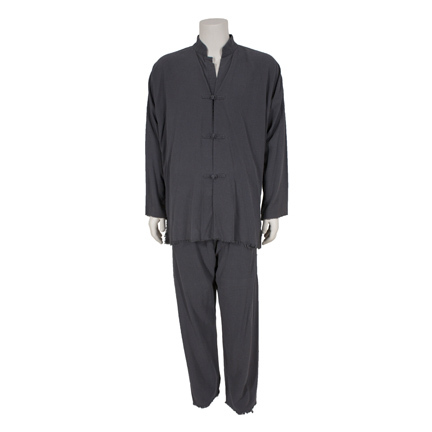 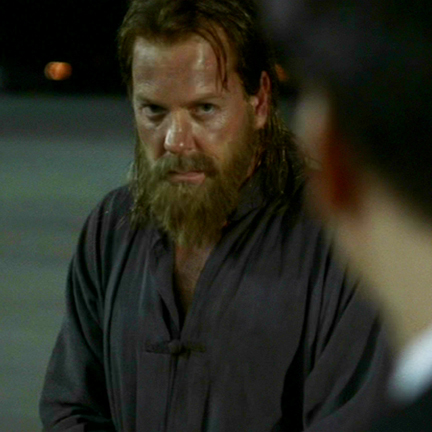 Mr. Sutherland wore this costume change in Episode 1 (Day 6: 6:00am – 7:00am) during the sequence where Jack is released into the custody of the United States Government after surviving two years of torture in a Chinese prison following the dramatic conclusion of Season Five. 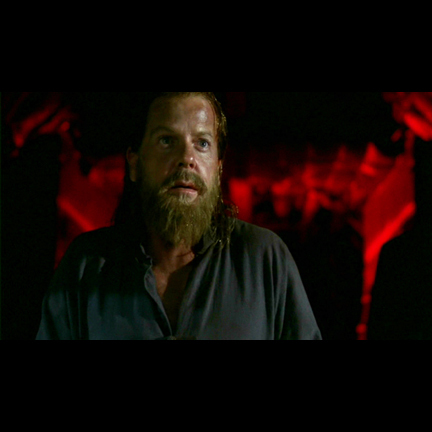 Far from being “freed” however, Jack soon learns that he is to be used as part of a trade the U.S. Government intends to make with a group of Islamic terrorists in order to locate “Hamri Al-Assad” (Alexander Siddig), whom they believe is behind a recent spate of domestic bombings. 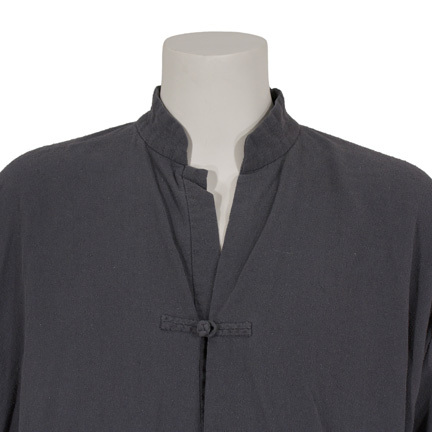 The garments were hand distressed by costumers to make them appear dirty from the extensive wear and tear they would have undergone if worn by a prisoner. 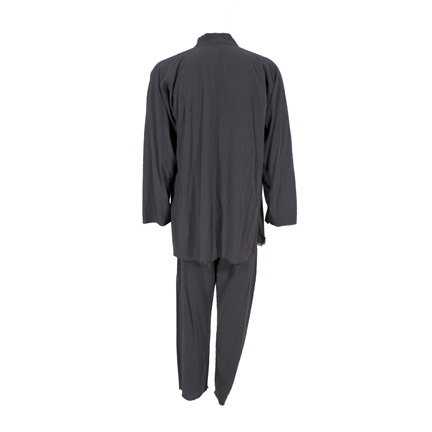 The wardrobe was washed or dry cleaned after their use during filming and the remnants of dirt have been removed. 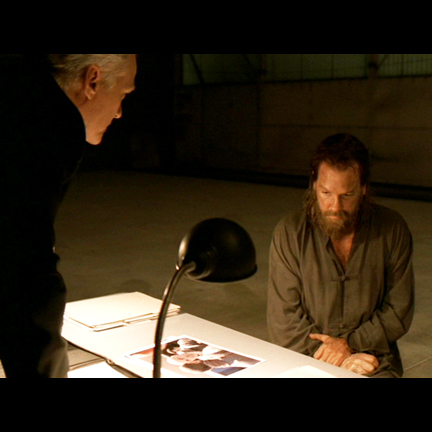 Accompanied by a letter of authenticity from the costume supervisor who worked on the series.